We will never stop trying to look better and younger. The average morning beauty routine for any given Monday takes about 76 minutes, and by Friday it drops down to 19 minutes. But modern technology helps us to save time, and we no longer need to sleep with hair curlers in overnight to help make a trendy hairstyle. Bright side got curious about how beauty routines have changed through the years, and we can’t wait to share it with our readers. 1. This hair dryer looks a bit bigger than it is now. 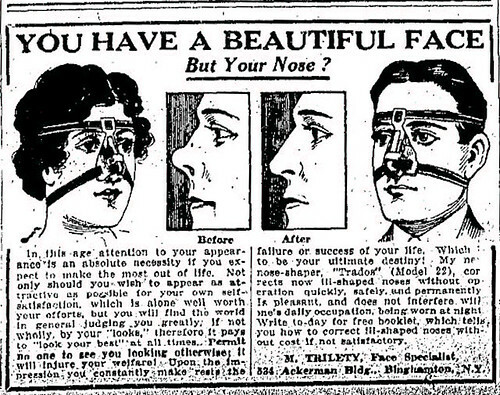 This is how beauty masks looked in the ’30s. These are modern face masks. 3. The idea of a stationary hair dryer stayed but the design changed. Which of the beauty devices changed through the years the most? Do you know any more weird products our grandparents used to be attractive? Please share your opinion with us!